The Suquamish Tribe has invested in the creation and maintenance of a computer lab for both educational and community use. 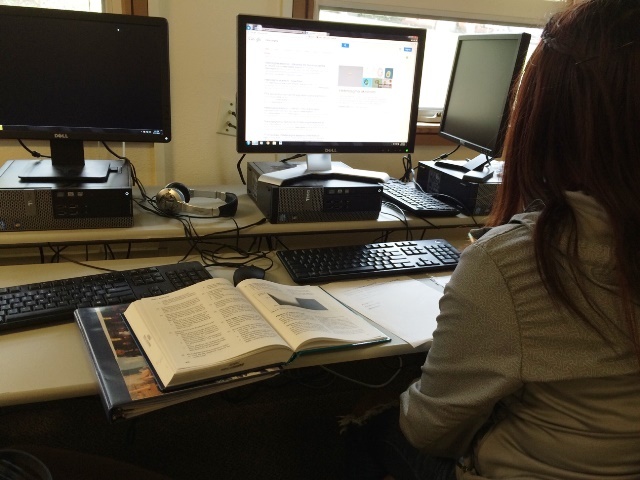 The lab, located in the Chief Kitsap Academy (CKA), is utilized by students during school hours, with availability for Tribal Households and members of the Suquamish Community after school. Chief Kitsap Academy Students work in the Computer Lab during school hours. Afterwards, the lab is opened to community members. The Suquamish Computer Lab is located in the Suquamish Tribe Department of Education Building. Accessories may be avialable, upon request. Chief Kitsap Academy Students 7:30 a.m. – 3:00 p.m.
Community Hours 3:00 p.m. – 5:30 p.m.